Many years ago this article would have never been written. 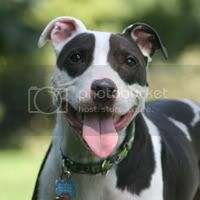 I used to firmly believe that dog parks were an excellent way to expend the energy of a drivey, happy-go-lucky dog – more specifically, our pit bull Luna. 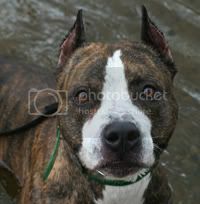 (No, folks, I do NOT encourage bully breeds in dog parks and we lucked out with having a pretty dog social pit bull but they aren’t all like that. 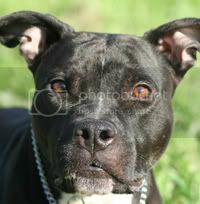 BAD RAP has a GREAT article on dog parks for bully breed owners.) The allure that they were a great place for dog-dog socialization was there and perhaps the initial purpose behind dog parks had this thought but it couldn’t be farther from the truth. We used to attend one of the many in the Metro Detroit area like it was going out of fashion – we’re talking about nearly every single day no matter what. Luna loved it. She would romp with her doggie friends and we’d chat with other dog owners while they frolicked. When Luna was about eighteen months old we stopped going to the park. Our work schedules had changed and we were unable to go to the park with any real frequency and started looking into other options for exercising her – like dog sport classes and hiking. I didn’t think much of it until I went back with a friend’s dog a couple of months back – a cute little lab mix with boundless energy. Let me tell you, I was absolutely shocked at what had changed. The amount of feces that was left behind after a dog pottied. Owners just seemed to walk around it or ignore the fact that their dog had just left a pile behind. I silently worried about things like coccidia or other parasites that a dog could be shedding in those piles. The owners all gathered in one spot near the entrance despite the fact that there was an acre and a half completely open an unsupervised with dogs running amok. Many were chatting or on their cell phones(!) and not paying any attention to their canine charge. There were TONS of out-of-control dogs with no manners, no recall and no direction. 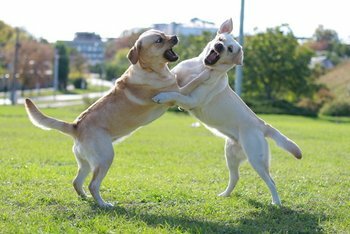 Many of them often bullied other dogs and their owners thought it was adorable or were completely indifferent about what was happening – like the intact pair of male Labradors that humped everything they could wrap their paws around and the more the other dog fought back the worse it got. 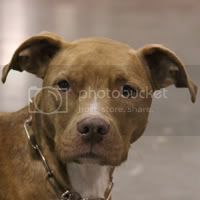 The wrong type of equipment was being left on dogs (pinch collars, harnesses, choke chains, etc.) 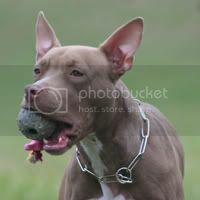 that could have caused severe injury or even death to a dog if a fight broke out or a dog’s jaw got caught while grabbing a hold of another dog in play. We spent a total of about 45 minutes there and I have to admit, it sucked. I couldn’t believe how much things had changed and while some dogs may be phenomenal at a dog park because they have been well-socialized and have owners who are on top of everything and not about being social divas, I personally don’t think they’re really a good thing for the vast majority of dogs out there – especially since most people sadly use dog parks as a way to cheat the system and not take their dog for a walk to expend energy. 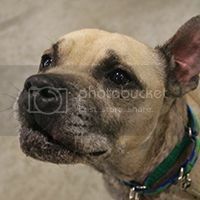 There are a plethora of other options out there instead of visiting your local dog park to expend that boundless energy – especially if you have a bull breed like training classes, hikes or even a fenced in baseball diamond or tennis court with just you and your dog or a couple of like-minded owners and their dog-social dogs. 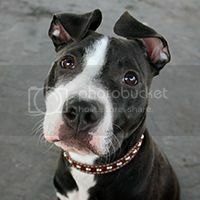 This entry was posted in General, Outdoor Adventures, Training and tagged apbt, dog parks, dogs, pit bull, training on December 29, 2012 by ShadowWolf. We did the dog park thing a couple of times. Found a beautiful park just outside of Kalamazoo. We’d only had our boy for a couple of weeks, and we were desperate for an extreme energy burn. Luckily, he’s an affable sort, and made friends with a little female, and they wore each other out running around like fiends. We went back a couple more times, but after reading up on the bull breeds and the dangers to be faced at any dog park, we too, went a different way to expend the nearly unstoppable energy of our two (at the time). Don’t get me wrong, a well-run dog park is great for many breeds of dogs. But, for us, it simply isn’t worth the risk. When I first rescued my boy, I thought it would be awesome to go to a dog park. I trust me and my dog, however, it’s others that I don’t trust and continue to not trust. Thus us never going to one. It’s sad but having a pit bull, I just can’t risk it.